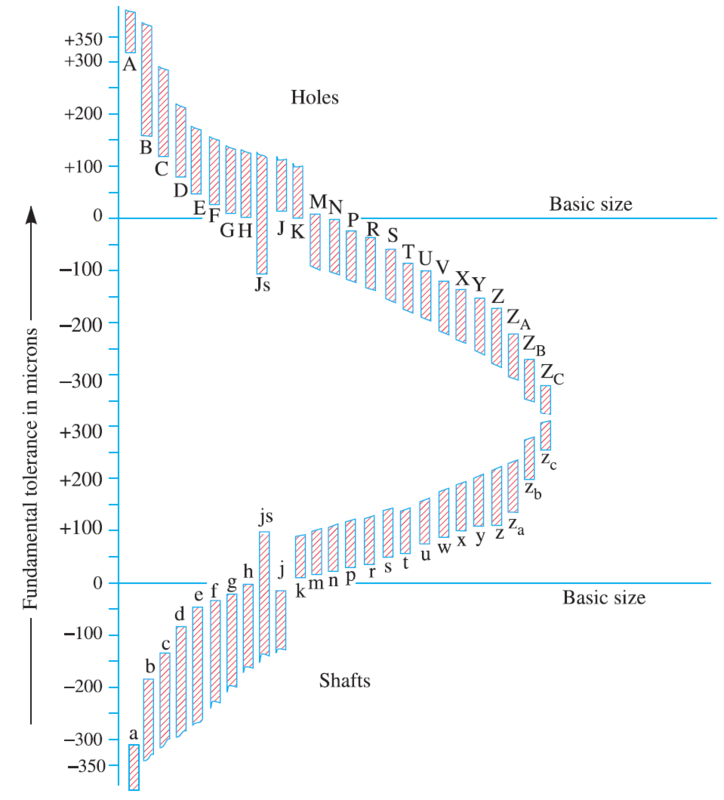 Fundamental Deviation of shaft and holes– Fundamental deviation is an allowance rather than tolerance. The allowance is simply the deviation between the hole minimum diameter to the shaft maximum diameter. Where the tolerance refer to either hole (Max. dia of hole-Min. Dia. of the hole) or shaft (Max. Dia. of the shaft- Min. Dia. of the Shaft). There are 25 fundamental deviations are there to fit the shaft in a hole with these 25 allowable deviations. With these, we use the different type of combinations of hole and shaft fits based on their function. But how we can figure out the tolerances for the given shaft diameter? We have 18 International Tolerance(IT) grades. These grades determine the tolerances for the given designated shaft value. IT01, IT0, IT1, IT2, IT3, IT4, IT5, IT6, IT7, IT8, IT9, IT10, IT11, IT12, IT13, IT14, IT15, IT16. 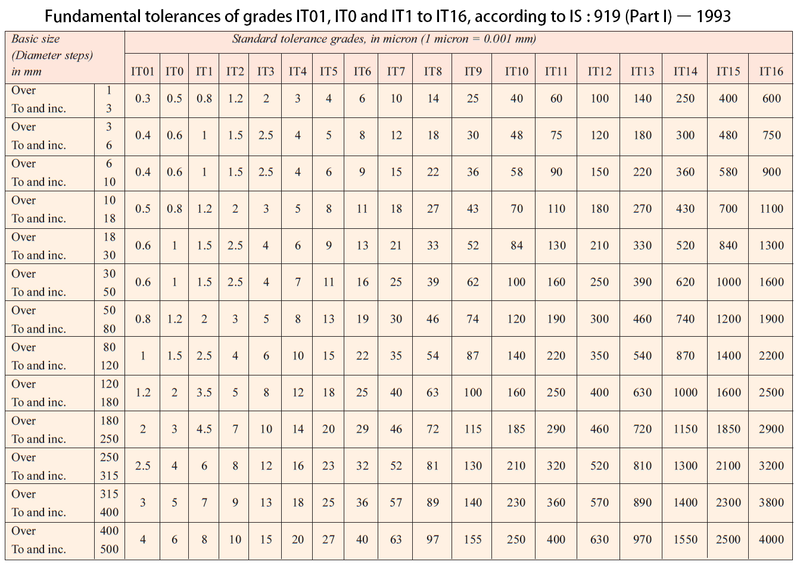 These are the standard tolerance grades. These tolerance values will be calculated with the help of the relevant magnitude given below. The following list will demonstrate where these grades are applied according to their tolerance range in a particular application. 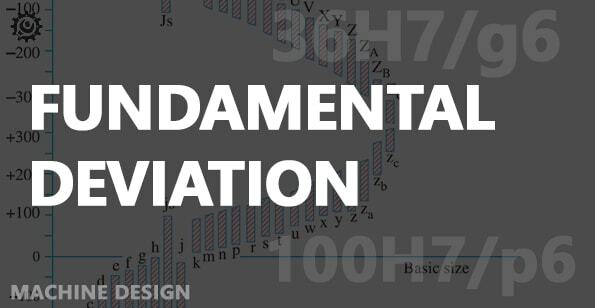 This information gives you a basic idea of what are the fundamental deviations and what are the standard tolerance grades. But in fur these we need to know about how this fundamental deviation or a tolerance grade can be calculated based on the given designated value.